History professor David Robinson – a participant in the groundbreaking Academic Freedom: JFK, 9/11 and the Holocaust conference at the University of Illinois – questions whether it is even possible to write history in post-World War II USA, where the official big lie has become the norm. From the Kennedy assassinations to 9/11 and beyond, we seem to be living in an ahistorical, Orwellian world in which mendacious official myths replace historical fact. What role can freedom of expression – especially academic freedom – play in today’s unfree world? In this interview we begin with some specific academic freedom struggles (including my own and that of Edward Ross at Stanford University) and move on to current events and the official lies about them. 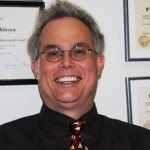 David W. Robinson has taught courses in history, the humanities, and the social sciences at both the undergraduate and graduate level, as well as graduate courses in higher educational teaching, course design, assessment, and administration. Additionally, he has served as Department Chair, Program Chair, Vice President of Information Technology, and Vice President of Academic Affairs at several colleges. This has made him well acquainted with the practical and complex issues of academic freedom in action. Currently, he serves as an adjunct professor on three different university faculties. This entry was posted on Saturday, July 19th, 2014 at 5:59 pm	and is filed under 9/11, Anti-War, Censorship-Propaganda, False Flag/Fake Terror, Freedom, Justice, Kevin Barrett, News, Protest, War Crimes. You can follow any responses to this entry through the RSS 2.0 feed.